Sometimes an advertisement or press release comes along that shows just what can be done by someone who has almost no idea about what they’re doing. With the Cricket World Cup coming to Napier in March, local events revolving around the tournament and cricket in general are a great way to get people involved. It’s just such a shame that whoever came up with this concept dropped the ball. An “Art Deco” themed (of course! 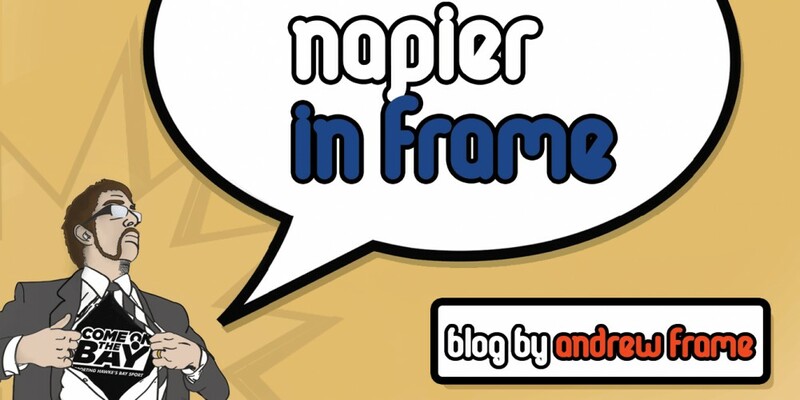 There is nothing else to Napier after all, is there?) celebrity cricket match is to be played at Hastings’ exclusive Clifton County Cricket Club in late February, a week before Napier’s matches start. 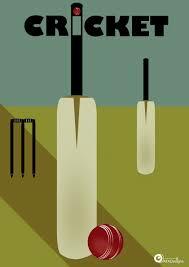 “The Legends of Cricket Art Deco Cricket Match will be a Twenty-Twenty game of gentle spectator cricket. “Twenty-Twenty”, more commonly known as“T20” (it gets its name from each team’s batting innings lasting a maximum of twenty overs) is a “flashy” as cricket gets. It’s quick, it can be a bit crass to purists, who call it “Hit and Giggle” and it’s BIG money in India, where the Indian Premiere League has made T20 one of the richest (and some would say the dodgiest) parts of the game. So the event’s promoter gets a “golden duck” on their first delivery. Onto the next ball: I have been playing club cricket in Hawke’s Bay virtually every summer Saturday for around ten years now and while I have heard of Clifton County Cricket Club, I have never seen them play, or played against them. This is because the club appears to be the only one in Hawke’s Bay to play only who they want, when they want. I don’t consider that to be a fair representation of Hawke’s Bay’s cricketing community to be portrayed to visiting international cricket fans and media. Just as the Cricket World Cup is a global event with teams from all over the world, club cricket in Hawke’s Bay is just as diverse. In my grade alone I’ve played with and against people from all walks of life – 12 year olds to pensioners, men and women – We have New Zealanders, Australians, English, Indians, Sri Lankans, Pakistanis, Welsh, Canadians and Cook Islanders. The other week we even faced a guy from Thailand – somewhere I was unaware even knew of the game! Every week we get our draw from Hawke’s Bay Cricket and that weekend we all represent our clubs and teams against whomever our opponent is that game. There is no picking and choosing. So rather than raising money for helping develop young Hawke’s Bay cricketers, or improving grounds, pitches and nets for Hawke’s Bay cricketers in general, you’re helping raise money for landscaping CCCC’s own grounds. How nice. They have even had help form an unusual source – Napier City Council. Napier mayor Bill Dalton and the Napier City Council have been very supportive of the Clifton club recently – despite it being located firmly in Hastings District Council territory (whatever you do, don’t mention Amalgamation!). Council staff assisting CCCC in preparing their pitch and outfield and Mayor Bill penned a letter of support. The only council-based correspondence Napier cricket clubs with junior and senior competitions, development and community involvement get, by comparison, is their annual, ever-increasing ground fees bill. When Napier City Council put forward their plan to redevelop their Park Island Sports Grounds a few years ago, our cricket club which is located at the park, made suggestions including having our own clay pitch within the club grounds. We even offered to maintain it ourselves. We’re still waiting for a reply. Middle stump topples, the bails go flying – A hat-trick! Three wickets from three consecutive balls! Double standards and snobbish overtones abound in this proposed event. Have a PUBLIC GAME. Host it somewhere central – Napier’s Nelson Park, or Hastings’ Cornwall Park – or even have one game at each ground over the fortnight the Cricket World Cup is being hosted in Hawke’s Bay. The game will be Napier vs Hastings – the mayors of each city on opposing teams (as usual) with local club players, identities, maybe even some kiwi “celebs”, international sports stars and visiting World Cup players to make up the ranks. Have interchangeable players / fielders with those on the side-lines (mostly the keen kids) able to “tag-in” to play for a few overs. Bring the family, bring a picnic! Gold coin entry / donations go to developing Hawke’s Bay Cricket initiatives for all clubs, or another local charity like the Cancer Society. THAT is what a charity cricket match in Hawke’s Bay should be! The ball sails over the fielders, over the boundary and out of the grounds – a massive six – What a shot! The crowd goes wild! Hawke’s Bay and Cricket deserves better! This entry was posted in Hawke's Bay, Media, Opinion, Politics, Social Media, Sport and tagged Hastings, Hawke's Bay, Media, Napier, Opinion, Politics, Tourism, Writing, Youth by Andrew Frame. Bookmark the permalink.